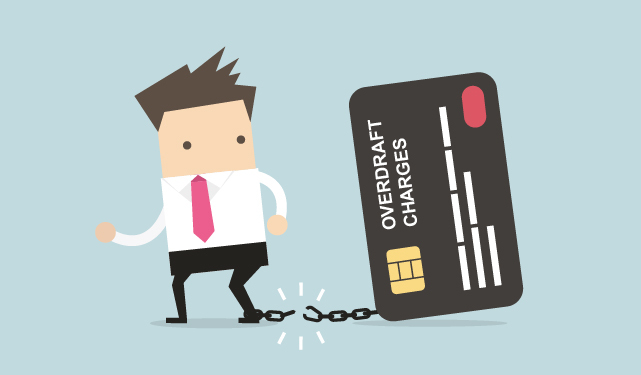 Unfair overdraft charges could be a thing of the past after the Financial Conduct Authority (FCA) released new rules that would ban excessive fees and simplify last-ditch borrowing. From December, the FCA will force banks to change their overdraft policies in a number of important ways. Unfair overdraft charges could be a thing of the past after the Financial Conduct Authority (FCA) released new rules that would ban excessive fees and simplify last-ditch borrowing. Align authorised and unauthorised overdraft fees, getting rid of excessively high unauthorised fees. Effectively banning unauthorised overdraft fees is a big win for people struggling with overdraft debt and anti-debt campaigners. Unauthorised overdraft debts carry some of the highest interest penalties. Some customers with unauthorised overdrafts will pay more in interest than people who have payday loans. With the introduction of the new rules, the FCA expects unauthorised fees to be ‘significantly below’ the interest rate cap on payday loans. There could be some flaws with the new system, however, as Adam Butler, Senior Public Policy Advocate at StepChange says in a blog post. “The FCA hasn’t specified that banks can’t offer different customers different overdraft interest rates. This means banks may introduce ‘risk-based’ pricing where customers are offered different rates based on their circumstances. He believes that this could lead to unauthorised fees being re-introduced through the back door. Campaigners have long argued that the overdraft system needs to be reformed. Mick McAteer, a former board member of the FCA, recently warned that overdraft fees discriminated against the most vulnerable members of society. He also said that the regulator has failed to protect people who can least afford the excessive charges of overdrafts that hadn’t been arranged beforehand. FCA research indicates that those living in deprived areas are 70% more likely to use an unauthorised overdraft than those living in the least deprived areas. The most deprived also end up paying up to twice as much in charges and fees. Tom Fox, Licensed Insolvency Practitioner at Umbrella Insolvency, said: “There is no question that overdrafts needed reform. Just recently, Lloyds was criticised when it released a new tiered overdraft charging system that was more complicated and more expensive for anyone that owed less than £4,100. With the new FCA rules, this tiered system will probably need to be scrapped. Are you struggling with problem debt? Speak to an Umbrella.uk debt advisor today to find out more about our Personal Insolvency Solutions. Call: 0800 611 8888.